True Colors Paint Contracting, Inc. Comment: We need to have Cedar Siding from 1977, replaced where rotten, caulked and painted. Comment: I'm preparing to purchase a home that requires new paint throughout. I'm working on building a budget for that project. There are 3 bedrooms, 1 living room, 1 kitchen, 2 hallways, and possibly a 2 flex spaces. Comment: I would like to get an estimate for exterior painting/staining. Two story mid 80's contemporary home with cedar siding. Multiple boards will need to be replaced. Going with a darker color than what is currently on. Marietta Painting Contractors are rated 4.76 out of 5 based on 2,136 reviews of 143 pros. 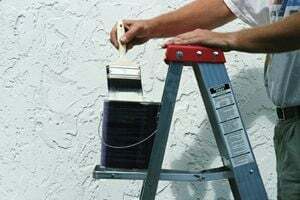 Not Looking for Painting Contractors in Marietta, GA?